Permit me to begin this contribution with a mild criticism of those senior citizens and distinguished personalities that are making passionate appeals to the family members of Boko Haram. I am not one of those that supports the making of such appeals simply because I do not believe that they will or can possibly succeed. The Kwara State chapter of the All Progressives Congress has expressed concern over the non-representation of Kwara State in the Peoples Democratic Party’s run Federal Executive Council long after the exit of the former Sports Minister and Chairman of the National Sports Commission, Mallam Bolaji Abdullahi. Ahead of the Ekiti state governorship election that comes up on Saturday. June 21st, the coalition of young Nigerians promoting good governance and citizen engagement, Enough is Enough Nigeria (EiE Nigeria), will host a live televised debate with the leading candidates on Sunday, June 1st, in Ado Ekiti, the state capital. General Overseer of the Christ Embassy, Chris Oyakhilome is allegedly experiencing some marital crisis. Recall that Pastor Chris Oyakhilome relocated to Johannesburg in South Africa in January while his wife stayed back in the UK where she had lived for years – an action that did not go down well with his church members. His church members who did not approve of them living apart, recently created a Facebook page asking for some explanations. A Federal High Court in Jalingo on Friday ordered the Nigerian Police Force to pay N7.5 million compensation for extra-judicial killing of two persons. 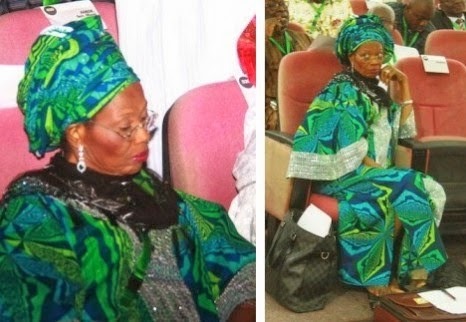 Former Minister of Information, Professor Dora Akunyili has dispelled her death rumour. The blogsphere was awash on Friday with the news that the former NAFDAC boss passed away in an Indian hospital after a protracted battle with heart-related ailment. A community policing effort by youths in some villages in Borno State has led to the killing of scores of members of Boko Haram. Some of the sect members met their waterloo Friday as they were disarmed mysteriously on arriving Attagara in Gwoza local government area. Seven of the insurgents were killed by the youths in the village, while three escaped. Omotayo Adeoye is missing at this hour. New York Police say the High School of Mathematics and Science student had attempted suicide by jumping off the George Washington Bridge Thursday afternoon. A major political drama in the nation’s political landscape began to unfold yesterday with the revelation that close associates of President Goodluck Jonathan had advanced moves to woo Governor Rotimi Amaechi of Rivers State back to Peoples Democratic Party, PDP. The Movement for the Emancipation of the Niger Delta (MEND) today announced it is suspending hostilities against the government immediately, in response to yesterday’s appeal by President Goodluck Jonathan. In videos posted online, Mizanur Rahman praises Boko Haram, the terrorist group behind the kidnapping, for angering the West and suggests it is “not necessarily a bad thing” if they kill non-Muslims. Scotland Yard detectives are now probing the videos after being alerted to them by the Standard. A woman who fears her daughters will be subjected to female genital mutilation in Nigeria will not be deported for at least another day, family friends say. Afusat Saliu, 31, and Bassy, four, and Rashidat, two, from Leeds, had been due to leave on a Virgin Atlantic flight to Lagos at 22:20 BST on Thursday. Many women and girls have been abducted by the Boko Haram sect in the past four years in Borno State, but this only attracted public attention after the abduction of more than 200 girls from the Government Secondary School Chibok on April 14. Few victims of such abduction are willing to speak on their experiences after regaining freedom, findings show. Members of the Christ Embassy Church in the United kingdom have expressed deep concerns about the whereabouts of Rev Anita Oyakhilome, wife of Pastor Chris Oyakhilome who heads the Believers LoveWorld Assembly, the mother body for the church worldwide. Following our march to meet with President Jonathan, during which he was represented by a delegation led by the Secretary to the Government, a speech was read on his behalf advising our movement #BringBackOurGirls, Abuja Family: “...that protests should be directed at the terrorists…”. The Emir of Gwoza, Alhaji Idrissa Timta has died after an ambush by suspected gunmen. Late Timta was waylaid together with the emir of Uba Alhaji Ali Ibn Ismaila Mamza while on their way to Gombe today. Former President, Olusegun Obasanjo, on Thursday, reacted to the news that he met with persons believed to be close to members of the Boko Haram sect, stating that he would not do so without the knowledge of the Presidency. THE Presidency, on Thursday, confirmed that the location of the abducted Chibok School girls by the defiant Boko Haram sect has been discovered by the nation’s security forces. Senior Special Assistant to the President on Public Affairs, Dr Doyin Okupe, made the confirmation in a special interview with the Cable News Network (CNN), monitored in Abuja by the Nigerian Tribune, on Thursday. Members of the Islamist terrorist group, Boko Haram, today kidnapped three traditional rulers—called Emirs—in Nigeria’s volatile and violence-plagued northeast. Two of the emirs were later escaped unhurt, but the third, Muhammadu Idrisa Timta, the Emir of Gwoza, died at the hands of the kidnappers. MINISTER of Youth Development, Mr. Boni Haruna, on Thursday disclosed that President Goodluck Jonathan has offeredmembers of the Boko Haram sect amnesty as part of his administration’s youths-friendly programmes and policies. Although money laundering cases against him show that Lucky Igbinedion may have stolen several millions of dollar from the treasury of Edo State during the eight years he was governors, details from a court case he instituted against Venezuelan state owned oil company, Petroleos De Venezuela S.A (PDVSA) and alleged conman, Fransisco Gonzalez, suggest that the scam may have caused serious damage to his finances. 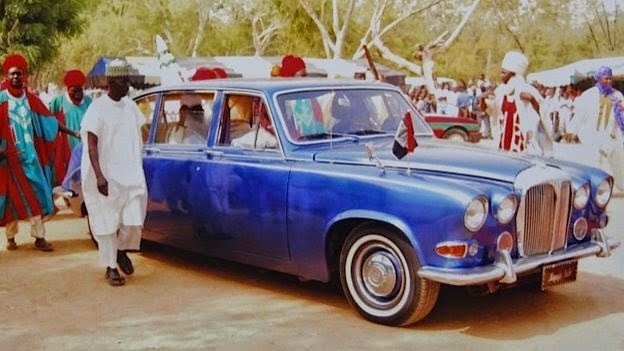 President Goodluck Jonathan was on Thursday presented with three Made-in-Nigeria Nissan vehicles to commemorate the nation’s Democracy Day. A former Governor of Oyo State, Rasheed Ladoja, on Thursday lost one of his sons in an auto crash on the Eko Bridge in Lagos. The deceased, identified as Adebola Ladoja, was driving a Golf saloon car, marked, AKD 107 CJ, and was said to be on his way to Lagos Island when a Daf truck, with number plate, JJJ 59 XA, driven by one Justice Oseghai, rammed into his car on the Eko Bridge. President Goodluck Jonathan has reiterated his administration determination to use all available options in handling the threat of terrorism in the country, including dialogue, de-radicalization, rehabilitation and reintegration of members of the dread boko haram that renounce terrorism and embrace peace. This was made known by the president during his Democracy Day broadcast to commemorate 15th years of uninterrupted democratic governance in Nigeria. Why did former President Olusegun Obasanjo join the rescue mission for the over 200 abducted Chibok girls? It was to open new channel of dialogue for the girls’ release, says the President, Civil Rights Congress of Nigeria, Comrade Shehu Sani. Sani said yesterday that some Boko Haram contacts had audience with Obasanjo to open a new channel of negotiation with the sect members to rescue the girls. As Nigerians cel¬ebrate Democracy Day today, Chair¬man of Board of Trustees (BoT) of the Peoples Democratic Party (PDP), Chief Tony Anenih, has said the fact that PDP has been in the saddle since 1999 was a demonstration of Nigerians love for the party. Fellow Nigerians: I greet and felicitate with you all, today, as we mark 15 years of uninterrupted democratic governance in our beloved country. The Federal Government stated that if not for the huge money it is spending to maintain security in some states controlled by the opposition All Progressives Congress (APC), Nigeria would have been a better country. Lagos lawyer Mr. Femi Falana (SAN) has said Ugandan President Yoweri Museveni lacks the moral competence to teach Nigeria any lesson on terrorism. 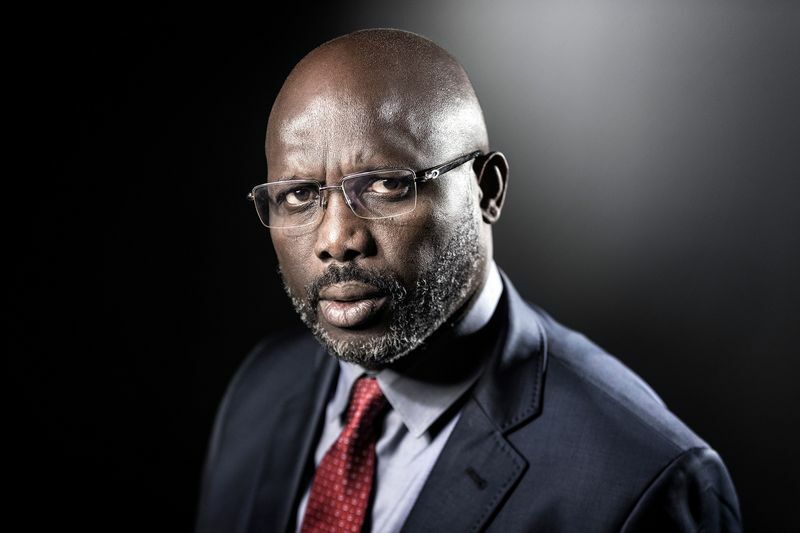 He urged President Goodluck Jonathan to ensure that Museveni does not get away with the comments he made about the security situation in Nigeria, following the abduction of over 200 schoolgirls in Chibok, Borno State. The Chief of Defence Staff, Air Chief Marshal Alex Badeh, has reportedly incurred the wrath of the Presidency over his claim that the military has sighted the 270 girls seized from the dormitory by Boko Haram terrorists last month. A Boko Haram leader, Hassan Ali, who was reportedly arrested by the local vigilante in Maiduguri three weeks ago, has confessed that he got “married” to two of the abducted Chibok schoolgirls in Sambisa forest. Over 180 men of the Federal Taskforce have been arrested at Tollgate area of Lagos, southwest Nigeria, after they clashed with policemen on duty. Mayhem was let loose as a large number of the Federal Taskforce officials beat up officials of the Lagos State Taskforce on Environment who arrested a motorist. The Senate Committee on Finance which investigated the NNPC over allegations of fraud leveled against it by the suspended Governor of the Central Bank, Mallam Lamido Sanusi, Wednesday submitted its report to the Senate saying no funds were missing. Sanusi had spuriously claimed in a leaked letter to President Goodluck Jonathan that $49.8 billion in crude oil revenue was missing. The ranks of All Progressives Congress, APC, in Imo State have continued to deplete since the recent return of former governor of Imo State, Chief Achike Udenwa, to the Peoples Democratic Party, PDP. "Pastor Chris Oyakhilome May Have Divorced His Wife Anita"--Source. Arguably, one of the most famous couple-pastors in Nigeria is Pastor Chris Oyakhilome and his wife, Rev. 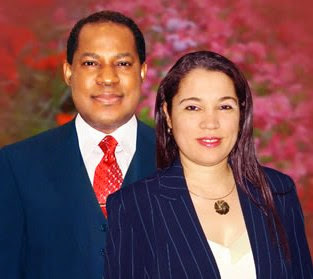 Anita Oyakhilome of Love World Assembly, aka Christ Embassy Church.However, with the latest information emanating from the United kingdom, where the Oyakhilome’s resides, the couple may have divorced or separated secretly from their marriage. Former Minister of Education, Oby Ezekwesili, blamed the Federal Government for hiring thugs to beat up “Bring Back Our Girls” protesters in Abuja, on Wednesday. Opposition leader and former Governor of Kaduna State, Balarabe Musa has advised President Goodluck Jonathan to drop his ambition to run for the Presidency in 2015 and save the nation from further crisis. 23 year old Precious Chineme Nwoko has been sentenced to 27 years imprisonment by a Cambodian Court for drug trafficking in Cambodia. 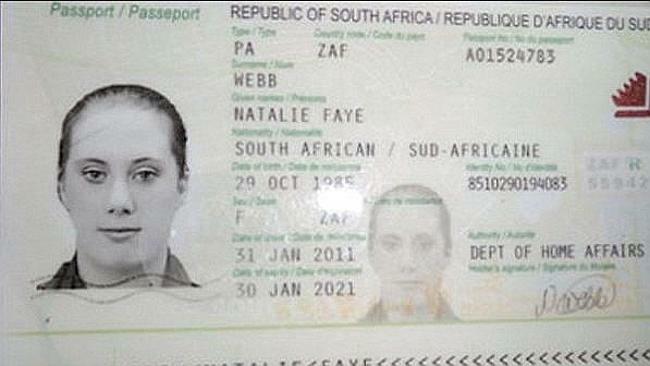 I ntelligence sources told the UK’s Mirror that Lewthwaite’s new marriage ensures she receives better ­protection from Hassan’s heavily-armed relatives as security agencies step up the hunt for her. Ahead of next year’s general election, Governor Musa Rabiu Kwankwaso and his Adamawa State counterpart, Murtala Nyako, have begun moves on how to stop President Goodluck Jonathan and the Peoples Democratic Party from winning the polls. Suspected Boko haram members today ambushed a military base in Buni Yadi, the headquarters of Gujba Local government area of Yobe state. Residents in the town said they saw dead bodies of ten soldiers, Police DPO, DCO and thirteen rank and file. The Chairman, Senate Committee on Education, Senator Uche Chukwumerije, on Tuesday, condemned a statement credited to the Chief of Defence Staff, Air Marshal Alex Badeh, that the military had discovered the camps where the abducted Chibok girls were being held. The U.S. Mission to Nigeria on Tuesday announced a new visa renewal process for applicants, tagged Expanded DHL Drop Box Visa programme. The mission in a statement in Lagos said that the new visa renewal system would commence on June 2. The Akwa Ibom State Governor, Mr. Godswill Akpabio, said on Tuesday that the new pension bill consisting of an annual N100m medical allowance for former governors and N50m for former deputy governors would put an end to endless medical bills by these individuals. Convicted Boko Haram member, Kabiru Umar (aka Kabiru Sokoto) yesterday, appealed to President Goodluck Jonathan for pardon, with a promise to assist the Federal Government end the activities of the Boko Haram sect. Governor Sule Lamido of Jigawa State, yesterday, said that he was not interested in contesting the 2015 presidency, laying to rest, insinuations that he would heed to the call by the former President, Chief Olusegun Obasanjo, to challenge President Goodluck Jonathan for the ruling People’s Democratic Party, PDP, ticket. As efforts to rescue some 234 girls, earlier whisked away from Government Girls Secondary School in Chibok by members of the dreaded Islamic sect, Boko Haram, continue to gather momentum, hunger and starvation have allegedly invaded many of the insurgent camps, warranting them to resort to attacking local villages for foodstuffs, money, among others. It was also gathered that local and international sponsors of the group have soft-pedalled for fear of being caught red-handed. Former governor of Anambra State, Mr. Peter Obi, has called on Nigerians to remember Prof. Dora Akunyili, former minister of Information, in their prayers. 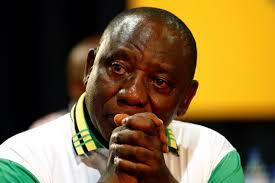 He made the call yesterday in India, where he had gone to visit the former minister, who is undergoing treatment.